By purchasing, using or continuing to use Opendime™ USB stick (the “Product”), you, the purchaser of the Product, agree to be bound by these terms of sale and use (the “Terms”). Product Orders and Shipment. 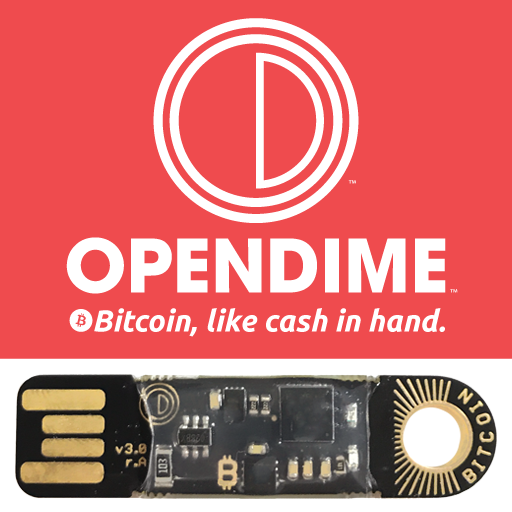 You may order Products through our website (https://opendime.com/). No order, offer, sale, or other terms that you submit in any manner in connection with any order will be binding on us and you and you agree that the terms applicable to each such order are set out exclusively in these Terms. We may accept such order by confirmation through our website or by processing the shipment for such order. If we do not have any available inventory, we will place it on backorder and advise you through our website. We ship all Products EXW (Incoterms 2010) from our or our service providers’ offices or facilities as determined by the shipping destination. Except to the extent prohibited by applicable law, all sales of Products are final and Products may not be returned or exchanged. Quebec Residents. At present, Products are not offered to persons domiciled in Quebec. Consequently, if you are domiciled in Quebec, you cannot purchase the Products. We cannot ship Products to Quebec addresses. Software. Products include certain software and firmware (the “Software”). By purchasing Products, you are not purchasing Software and do not receive any right, title or interest in or to Software other the limited rights of use expressly set out in these Terms. Subject to these Terms, we grant you a limited, non-exclusive, non-transferable (subject to Section 6), non-sublicensable license to use Software solely for your own business or personal use, and solely in connection with your use of the Product in which they have been included. Use of Products. The Products include functionality to store and facilitate the transfer of bitcoin and other similar cryptocurrencies which we choose in our sole discretion to support from time to time (“Coins”) and which may be used to facilitate various types of transactions and other activities (“Transactions”). You understand and agree that we are not responsible for, and have no obligation or liability to you or others in respect of any Transactions. You agree to comply with all applicable laws in your use of Products (including all Transactions), including without limitation any anti-money laundering laws or regulations. Transfer of Products. You may transfer or sell Products to others on the condition that you ensure that the transferee or purchaser agrees to be bound by the then-current form of these Terms available on our website at the time of transfer. Restrictions. You shall not: (a) except as expressly permitted herein, reproduce, duplicate, copy, disclose, sell, resell, sublicense, distribute, assign, transfer, give away, loan, lend, lease, publish, pledge or create a security interest in the Software or use the Software other than in connection with the Product on which it is included; (b) modify, port, adapt, translate, reverse engineer, unbundle, repackage, decompile, disassemble or convert into human readable form any part of the Product or Software or create derivative works based on, or any competitive or emulating software, service or solution using, any Product or Software; (c) use any Product or Software in a manner or for a purpose that: (i) is illegal or otherwise contravenes applicable law (including the facilitation or furtherance of any criminal or fraudulent activity or the violation of any anti-money laundering legislation); or (ii) infringes upon the lawful rights of others; (d) interfere with the security or integrity of the Product or Software; (e) remove, destroy, cover, obfuscate or alter in any manner any notices, legends, trademarks, branding or logos appearing on or contained in any Product or Software; or (f) attempt, or cause, permit or encourage any other person, to do any of the foregoing. Notwithstanding the foregoing, you may investigate security and other vulnerabilities, provided you do so in a reasonable and responsible manner in compliance with applicable law and our responsible disclosure policy and otherwise use good faith efforts to minimize or avoid contravention of any of the foregoing. Representations and Warranties. You represent, warrant and covenant that: (a) you have the capacity to, and are and will be free to, enter into and to fully perform your obligations under these Terms and that no agreement or understanding with any other person exists or will exist which would interfere with such obligations; and (b) these Terms constitute a legal, valid and binding obligation upon you. Prices and Payment. Prices are as set out on our website at the time we receive a firm, irrevocable order from you through our website or through other means we may establish from time to time. The total purchase price for Products, including all applicable shipping, handling, delivery and other charges and all applicable taxes must be pre-paid at the time you submit your order. All amounts paid or payable are non-refundable and shall be paid without deduction, setoff or counterclaim. All prices, quotations, confirmations and invoices are subject to exclusions or cancellation for clerical, typographic and similar errors and omissions. Taxes. All prices on our price list are exclusive of applicable taxes and you will pay or reimburse us for all applicable taxes, duties, levies or assessments that may be assessed in any jurisdiction, whether based on the amounts paid or payable or the supply of Products to you or otherwise. If you wish to claim an exemption from same, you must furnish to us a tax exemption certificate acceptable to the applicable taxing authority. Ownership. Except for the limited rights of use expressly granted to you under these Terms, all right, title and interest (including all copyrights, trademarks, service marks, patents, inventions, trade secrets, intellectual property rights and other proprietary rights) in and to the Software are and shall remain exclusively owned by us and our licensors. All trade names, company names, trademarks, service marks and other names and logos are the proprietary marks of us or our licensors, and are protected by law and may not be copied, imitated or used, in whole or in part, without the consent of their respective owners. These Terms do not grant you any rights in respect of any such marks. You understand and agree that any feedback, input, suggestions, recommendations, improvements, changes, specifications, test results, or other data or information that you provide or make available to us arising from or related to your use of the Products or Software shall become our exclusive property and may be used by us to modify, enhance, maintain and improve the Products or Software without any obligation or payment to you whatsoever. Third Party Products. You acknowledge and agree that you will require certain third party equipment, products, software and services in order to use the Products and may also use optional third party equipment, products, software and services that enhance or complement such use (collectively, “Third Party Products”). You acknowledge and agree that failure to use or procure Third Party Products that meet the minimum requirements for Products, or failure to properly configure or setup Third Party Products may result in the inability to use the Products and/or processing failures or errors. Third Party Products include, without limitation, computers, mobile devices, networking equipment, operating system software, web browsers and internet connectivity. We may also identify, recommend, reference or link to optional Third Party Products in the Products or our website. You acknowledge and agree that: (a) Third Party Products are be governed by separate licenses, agreements or terms and conditions and we have no obligation or liability to you in respect thereof; and (b) you are solely responsible for procuring any Third Party Products at your cost and expense, and are solely responsible for compliance with any applicable licenses, agreements or terms and conditions governing same. Confidentiality. You acknowledge that any unauthorized disclosure of our confidential information to third parties may cause immediate and irreparable harm to us. Consequently, you agree to take all reasonable steps to maintain the confidentiality of the Product and Software, and shall not, without our prior written consent, disclose, or make them available in any form to any other person, except to the extent reasonably required for the use or transfer of the Product in accordance with these Terms. We reserve the right to disclose information about you to the extent we are required to do so by applicable law, lawful authorities or by a court of competent jurisdiction. Security. You understand and agree that control and access to Coins stored on any Product is based upon physical possession and control of such Product and that any person given physical possession of the Product may remove or transfer any or all Coins stored on such Product. Warranty Disclaimer. You acknowledge and agree that your use of Products is at your sole risk and that they are sold on an “as-is” basis. To the maximum extent permitted by applicable law, we disclaim all representations, warranties and conditions regarding the Products or your use thereof, including without limitation any warranties or conditions of merchantability, merchantable quality, durability, fitness for a particular purpose, non-infringement, title, quiet enjoyment or quiet possession and those arising by statute or in law, or from a course of dealing or usage of trade. We cannot and do not warrant that the Products will meet your requirements or expectations, will operate without interruptions, that they will be error-free, virus-free, that the results obtained from their use will be timely, accurate, reliable or current or that any or all deficiencies can be found or corrected. We do not warrant that the Products or Software will not breach or infringe applicable laws outside of Canada or the proprietary rights (including patent, copyright, trade mark, or trade secret rights) of any third party. We shall not be liable, and assume no responsibility, for any loss or damages arising from or in connection with: (a) any access, inability to access, delay, fault or failure of the Products or Software resulting directly or indirectly from your or any public, peer to peer or third party hardware, software, service, service provider, network, information, user or computing resource; (b) unauthorized access to or alteration, theft, loss, corruption or destruction of Products; or (c) any act or omission of any third party. We cannot represent or warrant that Products will be secure at all times. If you use Products outside of Canada, you acknowledge and agree that you are solely responsible for ensuring that such use is permitted by applicable law in your jurisdiction. Acknowledgement of Risk. You understand and agree that: (a) there are risks associated with the use and holding of Coins and you represent and warrant that you are knowledgeable and/or experienced in matters relating to the use of Coins and are capable of evaluating the benefits and risks of using and holding Coins and fully understand the nature of Coins, the limitations and restrictions on their liquidity and transferability and are capable of bearing the economic risk of holding and transacting using Coins; (b) the continued ability to use Coins is dependent on many elements beyond our control, including without limitation the publication of blocks, network connectivity, hacking or changes in the technical and other standards, policies and procedures applicable to Coins; (c) no regulatory authority has reviewed or passed on the merits, legality or fungibility of Coins; (d) there is no government or other insurance covering Coins, the loss or theft of Coins, or any loss in the value of Coins; (e) the use of Coins or the Products may become subject to regulatory controls that limit, restrict, prohibit or otherwise impose conditions on your use of same; (f) Coins do not constitute a currency, asset, security, negotiable instrument, or other form of property and do not have any intrinsic or inherent value; (g) the value of and/or exchange rates for Coins may fluctuate significantly and may result in you incurring significant losses; (h) Transactions may have tax consequences (including obligations to report, collect or remit taxes) and you are solely responsible for understanding and complying with all applicable tax laws and regulations; and (i) the use of Coins or Products may be illegal or subject to regulation in certain jurisdictions, and it is your responsibility to ensure that you comply with the laws of any jurisdiction in which you use Coins or Products. Limitation of Liability. You agree that, to the maximum extent permitted by applicable law, our aggregate liability arising from or related to these Terms or any of the Products in any manner will be limited to direct damages not to exceed the purchase price you have paid to us for such Products (excluding shipping charges and taxes). To the maximum extent permitted by applicable law, in no event shall we be liable for any consequential, incidental, indirect, special, punitive, or other damages whatsoever (including, without limitation, damages for loss of revenue, profits, or expected savings, business interruption, personal injury, loss of privacy, loss of data or information or other pecuniary or intangible loss) arising out of these Terms or the use of or inability to use any of our Products or Software, even if we foresee or have been advised of the possibility of such damages. Applicability. The limitations, exclusions and disclaimers in these Terms shall apply irrespective of the nature of the cause of action, demand or claim, including but not limited to breach of contract, negligence, tort, or any other legal theory and shall survive a fundamental breach or breaches and/or failure of the essential purpose of these Terms or of any remedy contained herein. Because some jurisdictions do not allow some or all of the exclusions or limitations of liability set forth in these Terms, such limitations, exclusions and disclaimers may not apply to you. Indemnification. You will indemnify and hold us, our affiliates, subcontractors, licensors and agents and our and their directors, offices, employees and representatives harmless from and against all damages arising from or related to: (a) your breach of these Terms; and (b) third party claims arising from or related to your acts, omissions or Transactions. Assignment. Neither these Terms nor any of your rights or obligations under these Terms may be transferred or assigned by you, in whole or in part, whether voluntarily, by operation of law, or otherwise, without our prior written consent and any such attempted assignment or transfer shall be null and void. These Terms will enure to the benefit of and be binding upon the respective successors and permitted assigns of you and us. These Terms may be assigned by us in our sole discretion. Legal Proceedings. You agree that all claims, disputes or disagreements of any nature whatsoever arising from or relating to these Terms, the Products, the Software or us (a “Dispute”) will, at our sole option, be settled by final and binding arbitration by a single arbitrator pursuant to the Arbitration Act, 1991 (Ontario). Judgement upon the award rendered in any such arbitration may be entered in any court having jurisdiction thereof, or application may be made to such court for a judicial acceptance of the award and enforcement, as the law of such jurisdiction may require or allow. The arbitration will take place in the City of Toronto, Ontario, Canada and shall be conducted in English only. The arbitrator will: (a) not limit, expand or modify the terms of these Terms nor award damages in excess of compensatory damages permitted under these Terms, and you hereby waive any claim to such excess damages; (b) not have any ability to award any equitable remedies against us; (c) not have the right to award any damages in excess of damages that could lawfully be awarded by a court of competent jurisdiction and subject always to limitations and exclusions in these Terms; and (d) issue a written decision containing findings and conclusions on all significant issues. Each party will each bear its own expenses and an equal share of all costs and fees of the arbitration. All participants, each of whom will be bound by an appropriate confidentiality agreement, will hold the content and result of any arbitration in confidence. Notwithstanding the foregoing, you acknowledge and agree that irreparable injury may result to us if you breach any of the provisions in these Terms and that damages may be an inadequate remedy in respect of such breach. You hereby agree in advance that, in the event of such breach, we shall be entitled, in addition to such other remedies, damages and relief as may be available at law or in equity, to the granting of interlocutory and final injunctive relief. Any legal proceeding brought by you against us must be brought within one year after the event which is the subject of the proceeding has occurred. You agree to waive any right you may have to commence or participate in any class action against us in respect of any Dispute and further agree to opt out of any class proceedings against us. Choice of Law. These Terms will be deemed to have been made and performed exclusively in the Province of Ontario, Canada and will be governed by and construed under the laws of the Province of Ontario without giving effect to Ontario’s conflict of laws principles and without reference to the United Nations Convention on Contracts for the International Sale of Goods, the application of which is expressly excluded. You hereby irrevocably attorn to the exclusive jurisdiction of the courts of the Province of Ontario and Canada situated in the City of Toronto for any claim related to these Terms, the Products or Software that is not subject to arbitration arising from or in connection with these Terms and agree not to bring any action, claim, suit or proceeding against us, our affiliates or agents (or any officer, director, or employee thereof) in any jurisdiction other than the Province of Ontario. Entire Agreement. These Terms constitutes the entire agreement between you and us with respect to the Products and Software and cancel and supersede any prior understandings and agreements between the parties hereto with respect thereto. There are no representations, warranties, terms, conditions, undertakings or collateral agreements, express, implied or statutory, between you and us other than as expressly set forth in this Agreement. You represent and warrant that you have not been induced to enter into these Terms by any other statement, representation or warranty not contained in these Terms. The headings in these Terms are for convenience of reference only and do not affect the construction or interpretation of these Terms. Survival. Neither the expiration nor the earlier termination of your account will release you from any obligation or liability that accrued prior to such expiration or termination. The provisions of these Terms requiring performance or fulfilment after the expiration or earlier termination of your account and any other provisions hereof, the nature and intent of which is to survive termination or expiration, will survive. Severability. To the extent that any provision of these Terms is declared by a court or other lawful authority of competent jurisdiction to be invalid, illegal or unenforceable: (a) such provision shall be severed and deleted or limited so as to give effect to the intent of the parties insofar as possible and both parties will use their best efforts to substitute a new provision of like economic intent and effect for the illegal, invalid or unenforceable provision, and the remainder of these Terms shall continue in full force and effect with respect to all other provisions; and (b) notwithstanding the foregoing, we reserve the right to terminate the order of any Products. Notices. Except as expressly set out in these Terms, any demand, notice or other communication to be given to us shall be given in writing by mail to the following address: Coinkite Inc., 3219 Yonge St., Unit 376, Toronto, ON M4N 3S1 CANADA or to such other address as we may advise you of from time to time, including through our website. Any demand, notice or other communication to be given to you may be given by mail, fax or e-mail using the contact details we have on record or posted through to our website. v. 1.0. Last revised 2016-05-01.